Workwear is carefully examined and if all quality standards are met is sent for despatch. If a repair is requirement garments are mended to the highest standard. Repairs are scanned and information updated to our Giltbrook Hub. Repairs are re-examined at the Quality Audit point before sending for dispatch. Giltbrook provide quality laundry and rental services for the safety critical workwear market. 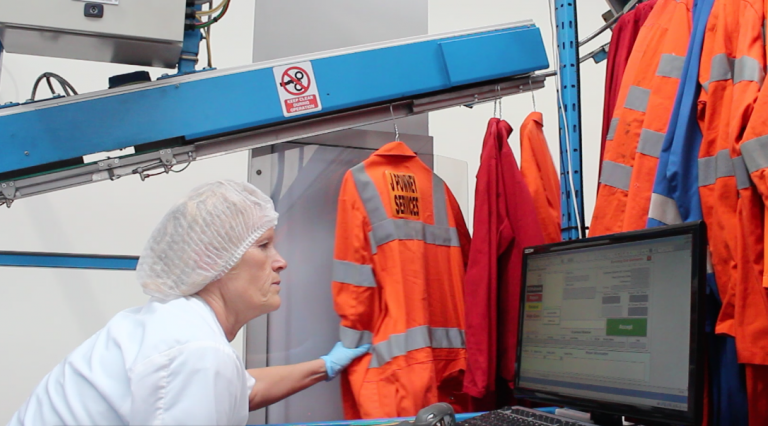 From the arrival of garments at our premises they are closely monitored, recorded and controlled. Garments go through a number of stages in the wash cycle guaranteeing a thorough wash process, to remove grease and oil staining providing excellent results each time. Our wash processes are monitored by our detergent suppliers by checking temperatures, alkalinity strength, and wash action so exacting standards are maintained.